Harness the Power of Your Meetings! Prepare and Execute Meetings Effectively with MatchWare's Agenda Software! Need a more efficient way to run your meetings? 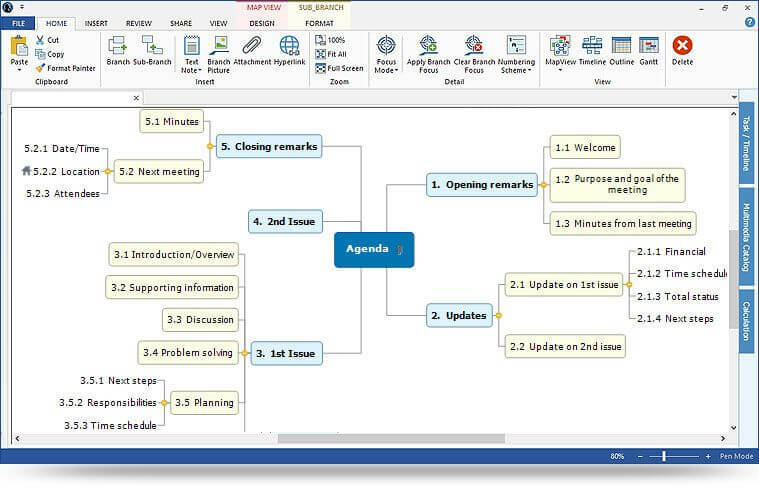 MindView is a mind mapping tool that enables you to brainstorm and organize your agenda, take notes and create minutes with a mouse click. This agenda software is a powerful way to increase productivity and collaboration. MindView is based on Mind Mapping and enables you to visualize and organize topics for an agenda. Simply brainstorm the topics you'd like to cover, then organize them by simply dragging and dropping them into the order you choose. With MindView, you can create an agenda and instantly turn it into an interactive map for conducting your business meetings more effectively than ever. Use the professional templates provided or create your own. Either way, MindView is the fastest, most effective way to create agendas that work! Maximize the productivity of your meetings by having all the information you need right at your fingertips! MindView's user-friendly agenda software allows you to elaborate on each topic of your agenda by inserting notes, citing sources with hyperlinks to websites, and attaching relevant .pdf, Excel files, Word documents, and more. Once your agenda is finalized, export it to Word and print out hard copies for all participants. The export function produces your agenda as a Word document with a table of contents and all of your notes, hyperlinks and attached files intact. With several easy-to-use professional templates, you'll create agendas that stand out! 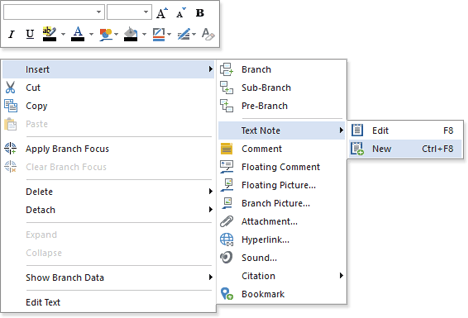 Seamlessly integrated with MS Office, MindView lets you convert your Mind Maps to PowerPoint presentations. This user-friendly agenda software sets up your presentations automatically, so with a simple click of your mouse, you're ready to go! Download Agenda Software for Free! MindView makes it easy to share your agenda with colleagues and clients using MindView's FREE viewer (available in the Downloads menu). Going through the interactive agenda using continuous note taking, running and editing attached files, and opening hyperlinks.